The rumors about Alia Bhatt dating Ranbir Kapoor is all over the media headlines recently. We all have an idea that something is happening between Ranbir Kapoor and Alia Bhatt. They are said to be the new couple of Bollywood. This closeness is expected as Alia and Ranbir are working together in Ayan Mukherjee's super-hero film Bhahmastra. Both the actors are single at the moment. Ranbir had a long relationship with Katrina Kaif, then a brief growing friendship with Mahira Khan. Now he was pausing for a relationship-breather and Alia just had a breakup with Sidharth Malhotra and is in a vulnerable state of mind. It is in the news that Alia Bhatt's presence has rattled Ranbir a lot. Alia is just getting over a heartbreak with Sidharth Malhotra and in a very susceptible emotional state. There is definitely a friendship brewing between Alia and Ranbir," says a source close to Karan Johar. It seems like Alia Bhatt is really dating Ranbir Kapoor. Well, we are well aware of Ranbir’s past relationships but this time it seems very organic and real from a different perspective with Alia. Do you all think the same or is she digging her own grave? 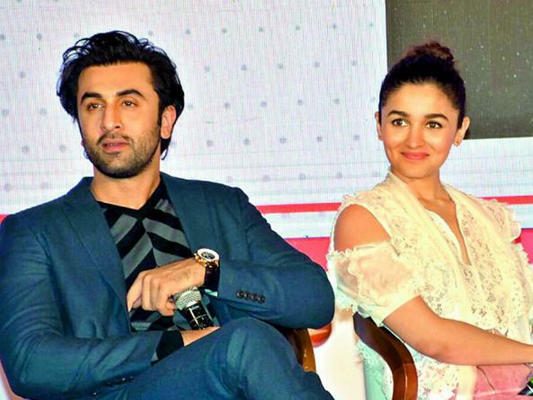 Alia & Ranbir: Stop Speculating, It is True! Ranbir and Alia Pair Up for Dragon. Raveer and Ranbir in One Film? Ranbir Kapoor and Alia Bhatt shopping on the streets of NYC is adores! Ranbir Kapoor, Alia Bhatt’s Brahmastra to be made on a budget of 250 crores? Are Alia Bhatt And Ranbir Kapoor dating each other? Mahesh Bhatt Does Not Approve?? After Badtameez, Ranbir Goes Besharam!